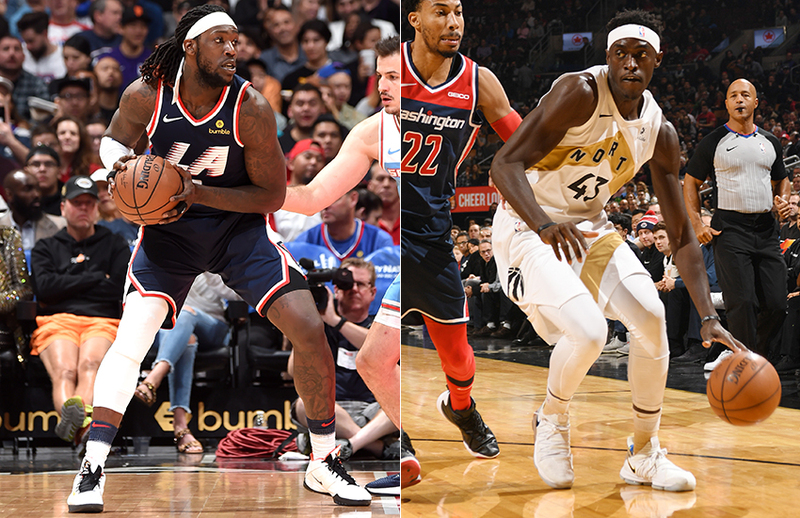 Before this season, Montrezl Harrell and Pascal Siakam appeared to be heading down similar career paths as such selfless stars as Draymond Green and Ben Wallace—two undersized centurions who cut their teeth in the League doing all the little things to help their teams win. But a funny thing happened along the way for both the small-ball center and the lanky power forward—they both became scorers. 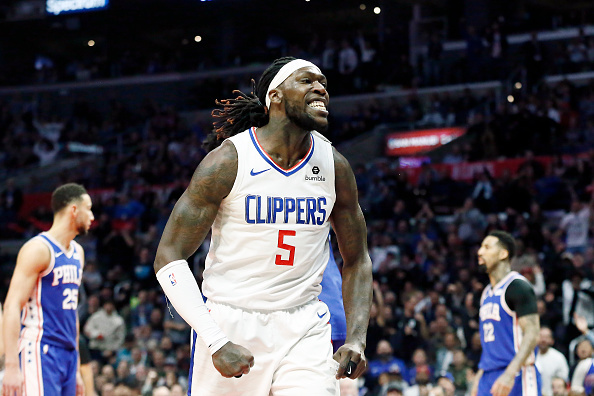 The 6-8, 240-pound Harrell seemingly came out of nowhere when the Clippers reserve got an infusion of playing time and rewarded the Los Angeles with 16-point and 7-rebound averages in 25 minutes per game off the bench, eventually transforming himself into an NBA Sixth Man of the Year candidate. Likewise, the 6-9, 230-pound Siakam took advantage of new Toronto head coach Nick Nurse’s belief in him and made the most from his new role as a Raptors starter and, in turn, churned out 15-point and 7-rebound averages in 31 minutes per game, eventually transforming himself into an NBA Most Improved Player candidate. On Sunday, these two unheralded stars share court space when the Raptors host the Clippers in a game where we see big men doing all the little things it takes to help appreciative teams win. Key: G games; MPG minutes per game; PPG points per game; RPG rebounds per game; APG assist per game; SPG steals per game; BPG blocks per game; RPM Real Plus-Minus; PER Player Efficiency Rating; TSP true shooting percentage. 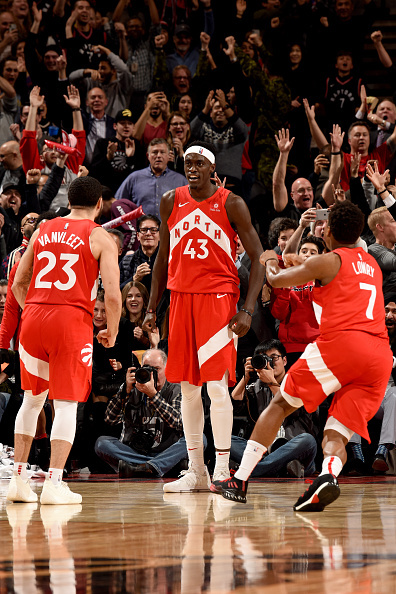 Siakam showed how far he has come as a scorer when on January 17, Nurse put the ball in his hands for the game’s last shot. 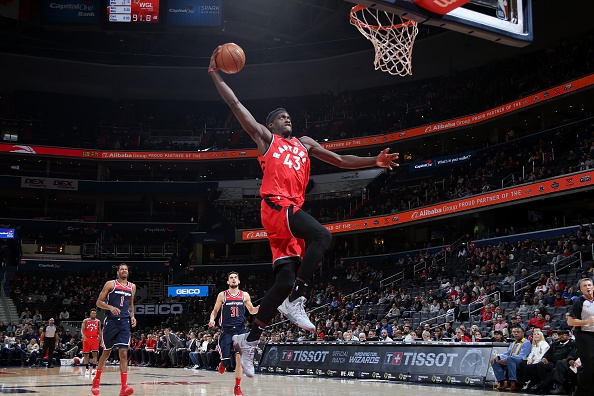 With the clock winding down and Siakam at the top of the perimeter, the lanky 24-year-old Raptor took Suns 6-7 forward Mikal Bridges off the dribble with three seconds and finished at the hoop with a windmill lefty layup over 7-1, 250-pound center Deandre Ayton to give Toronto the victory with no time left on the clock. 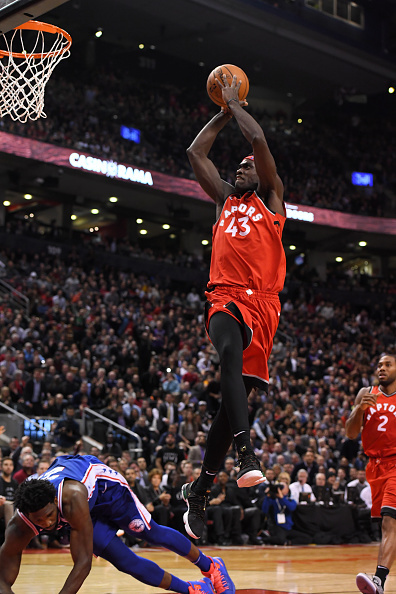 If the League had not noticed that Siakam had raised his scoring average from 7.3 to 15.2 points per game in a year—with a 20.7 to 31.3 minutes-per-game increase—they certainly took note of his scoring acumen that night. Siakam is still a work-in-progress from three-point range, but has improved dramatically in his three NBA seasons as a shooter, specializing in strong rim runs and great shot selection from anywhere on the court within two-point range (Siakam has spectacular .631 true shooting percentage). Harrell, meanwhile, has long made his living off second-chance points and paint shots, shooting 93 percent of his attempts within 10 feet of the bucket, according to Basketball-Reference.com. Make no mistake, Harrell is now a scorer who needs to be scouted because his 15.8 points in 25.8 minutes per game makes him a prolific points producer. The 25-year-old Clipper is consistently one of the NBA’s most efficient two-point scorers out there (.641 last season, which ranked third in the league; .631 this season, which ranks sixth). If you do not keep him off the glass (2.4 offensive boards per game), he will kill you inside. If you do not run in transition, he will beat you. Neither Harrell or Siakam is a strong rebounder, but they both get the job done and get out in transition. Neither Harrell or Siakam is a playmaker for others, but they are not liabilities either, with Siakam being the better creator. When it comes to knowing how basketball is played, both are advanced beyond their years, best evidenced in their on-court net ratings per 100 possessions (Siakam, +10.4; Harrell, +2.6) and on-off ratings (Siakam, +15.9; Harrell, +5.4). They do all the winning things that make bench units overachieve, which has been Harrell’s calling card the first four years of his career, and had been Siakam’s role up until this year. But they do it so well, their coaches took to playing them with their starting lineup, which is why Siakam is a starter now and why Harrell will probably be thrust in that role before the postseason starts. Both Harrell and Siakam are plus-defenders, with Harrell more of a small-ball center, while Siakam covers more ground with his active length. 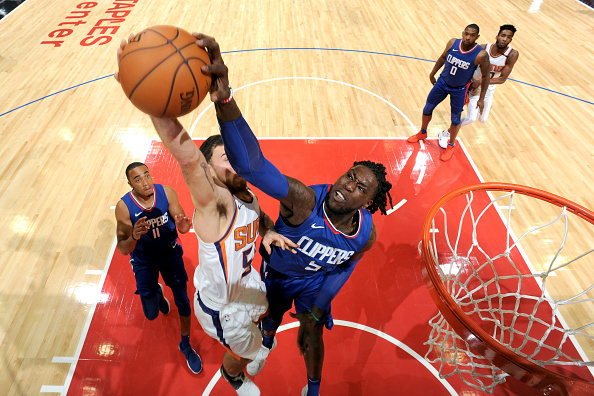 The secret to both of their success lies within their wingspans (Siakam, 7-3; Harrell, 7-4). 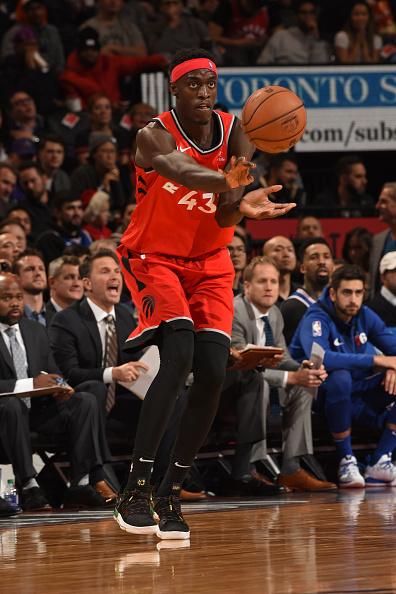 Siakam uses his hustle and length to challenge three-point shots better than anyone else in the NBA (244 contested three-pointers ranks first in League this season) and to recover loose balls (ranks fourth with 85 recoveries), while Harrell ranks eighth and ninth in contested shots and twos, respectively (624 and 464). Harrell gets the edge here because he is excelling while playing outside his position. But both men have what it takes to defend at a high level at multi-positions in this league. Harrell provides the muscle on the Clippers. There might not be a stronger player in the League than this Clipper rock of granite.His boundless energy is infectious, giving the team a much-needed boost. Siakam provides the glide, the smoothness it takes to get from Point A to Point B. Both men are overachievers and both responsible for their team’s early-season success. It is impossible to differentiate between the two at this time because both men are by-example leaders who just get the job done. Both men have shown considerable upside to their overall games, with both increasing their scoring and rebounding numbers each year in the League. They have their coach’s respect and their teammates’ ear. They improve every year. And they are a coach’s dream. Nobody ever expected Pascal, the 27th pick in the 2016 NBA Draft, and Trez, the 32nd pick in the 2015 NBA Draft, to become top 50 players, but that is what both has become during the 2018-19 season. Both started their careers as “energy” guys with length that coaches can use to counter a hot scorer. To their credit, both guys have not sat on those roles, instead expanding on their games while maintaining the underdog edge that got them there in the first place. We believe Siakam has slightly more upside, given his plus-minus numbers and the rapid increase in Player Efficiency Ratings each of his three NBA seasons (11.5 to 14.5 to 18.3). But we belief both have plenty of growth to come, which is saying a lot for two men who have already come a long way.